Snap a photo showing your library, city, or favorite use of technology. Submit your meme to the contest by emailing it to ghernandez@santaclaritalibrary.com with your name and contact information. Check our Instagram account to see if we posted your meme! A winner will be selected from those posted to the Instagram account. 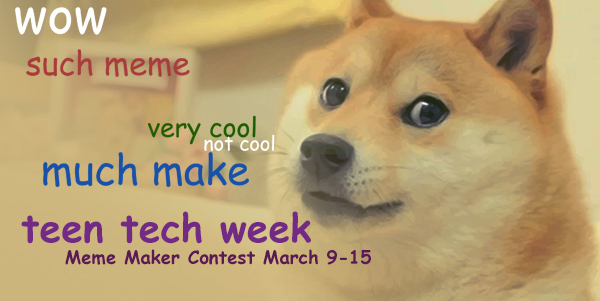 Art, Contest, Teen Tech Week. Bookmark.